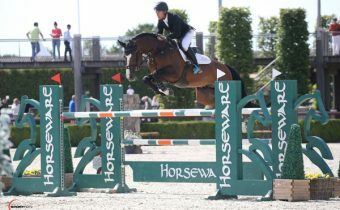 International showjumper 1.50m level and Zangerheide approved. 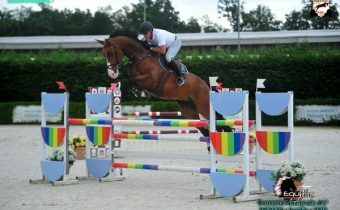 International showjumper 1.55m level and Zangersheide approved. Successful in International Young Horse Classes. The in 2008 born Dexter has already proven to be of high quality. 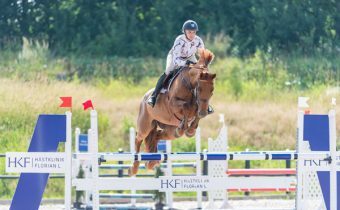 He is bred by C. Goumans from Smakt and was under the saddle of the American Lauren Hough and they are acting on 5* Grand Prix level, where they have ridden multiple clear rounds. 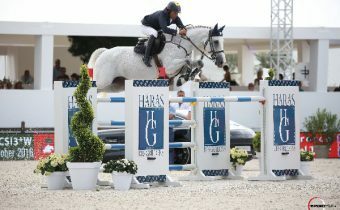 Lorenzo DE LUCA is riding Dexter successful at 1.50m-niveau now. Zacharov TN descendant Happy Feet B is ridden by the American rider Lauren Hester and is riding clear rounds in Young Horses classes. She is a breeding product of P. Simons from the Belgian city Lanaken. In January 2017, Happy Feet B and Lauren Hester were victorious in the five-years-old class in the Desert Circuit in California. The talented gelding Fire Fly was sold via de Limburg Foal auction in 2010. 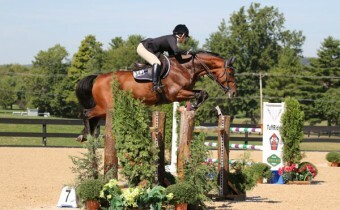 He has proven himself to be amazingly talented in jumping, dressage and cross-country. 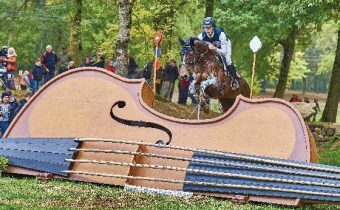 In 2016 he has put down a great performance by winning the World Championships for Young Eventing horses at the 6-year-olds! With the Australian rider Chrisopher Burton he is very successful in eventing. The young Victoria Birdsall is a rider of Drumnacross Farn and stepped into the saddle of this talented Ukato offspring. In 2011 this horse was bought in the Limburg Foal Auction and he is currently pursuing his education in the United Stated. 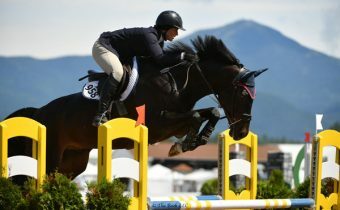 At the moment he performs good in 5-year-old classes: he had clear rounds in both Lake Placid as during the Saugerty Horse Show. Recently, the duo managed to qualify for the 5-year-old Championship in Princeton, New Jersey. This Quality Time offspring is owned by Drumnacross Farm, were he is currently in training. 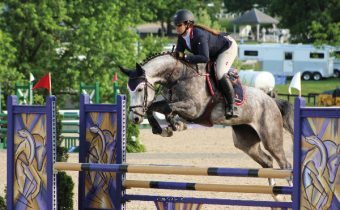 The in 2011 in Ulestraten born talented show jumper was sold via the Limburg Foal Auction and is currently successful in 5-year-old classes in the United States. With clear rounds in, amongst others, Lake Placid and the Saugerty Horse Show, he has qualified for the finals in Princeton. His rider Victoria Birdsall is rider at Drumnacross Farm. Clouseau was born in 2007 and is bred by P.J.M. Graus from the Dutch city of Oostum. 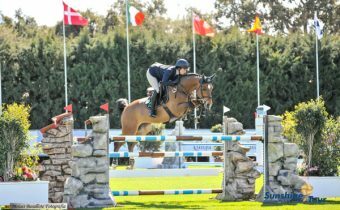 Since then, the chestnut has build up a marvellous sporting career with the American rider Christi Israel of Byron Hill Show Jumpers in Ocala, Florida. Clouseau is successful at 1.50m level. At the age of three, Van Gogh was registered with KWPN at the top of his class. In 2014 Marco Kutscher took over the reins from Caroline Müller, who until then brought out the stallion successfully. 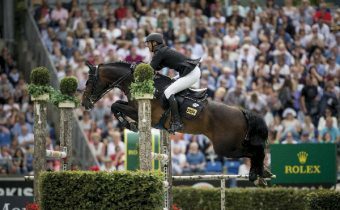 The most beautiful victory of Kutscher en Van Gogh is without a doubt the Grand Prix of the Global Champions Tour in Valkenswaard. The KWPN approved stallion Durrant was appointed to be the jumping champion of the KWPN-stallion examination in 2014. He won the performance test with 83,5 points. During the test his gallop, technique, power and his natural ability to jump were very much appreciated. When he started his very promising career in the Netherlands, he performed well during e.g. 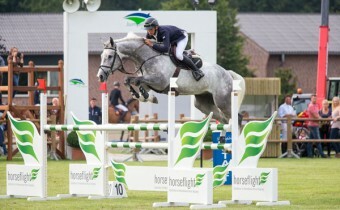 Jumping Etten-Leur, Jumping Maassluis and the VION CUP for 4-year-olds, people became more and more interested in him. 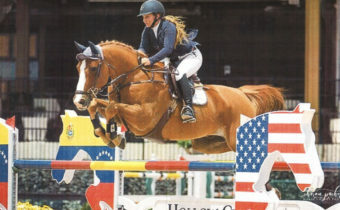 Durrant was sold to the American rider Cara Dayton in July 2014. 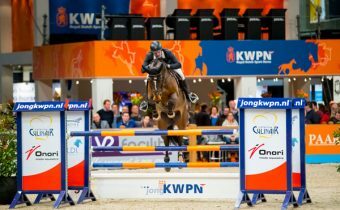 The KWPN-approved El Primero triumphed during the Stal Hendrix-competition for 4- and 5-year-olds. He was sold to America in 2014. He then was a show jumper, but he immediately shifted to being a hunter horse. First Louise Serio brought him successfully out in the hunter ring, Sandy Ferrell took it over a while later. Sandy is very praising about El Primero; ‘You fall in love with him immediately because of his alethic ability and will to perform.’ They started a promising career, e.g. 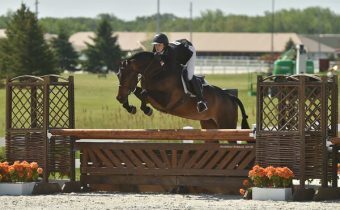 they became sixth during the USHJA International Hunter Derby Overall in June 2015. Dynamo was convincing on all the jumping components during the performance test in Stegeren (2012). 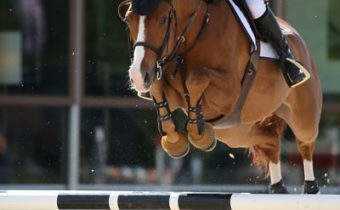 He received 8,5’s for technique, power and natural ability as a jumping horse. The Dutch rider Doron Kuipers and Dynamo formed a successful combination in the sport for many years. 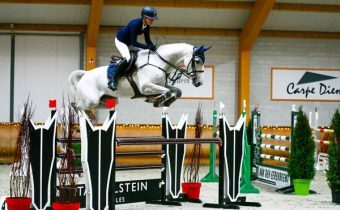 He won a 1.45m class in Münster mid 2016 with Christian Ahlmann. 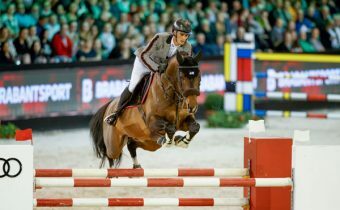 Dynamo is now being ridden by Niels Knapo. 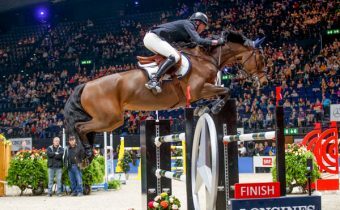 Together with his British rider Tim Gredley, the strong gelding Unex Valence won the puissance test during the Washington International Horse Show in 2013. Jumping a height of no less than 2.10m, they left the competition behind easily. One year later, Unex Valente won a CSI3* class under Lorenzo de Luca in Megeve. In 2014, Tim Gredley past over the reins to Jennifer O’Neil. 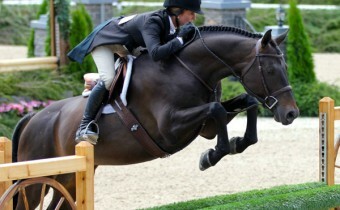 They became third in the Kentucky Spring Classic Horse Show in the 1.40m class. 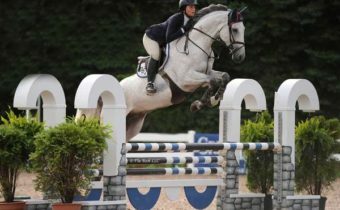 They duo won the 1.40m class of Animo Circuit Champion in Anglestone in 2015. Big Brother was trained by Stal Hendrix rider Pieter Keunen. They were successful in many youngster classes. 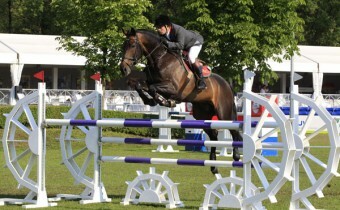 Keunen and Big Brother became second in the 6-year-old classes during the show in Neeroeteren, Belgium in 2012. After Pieter Keunen, the Colombian rider Rene Lopez started riding the Untouchable-son. 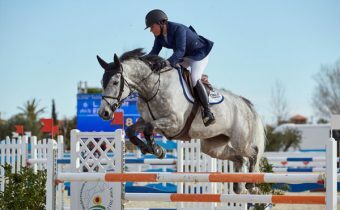 The international successful gelding and Rene Lopez were places third in a 1.45m class in La Baule in May 2015. He now is showing international at 1.60m. 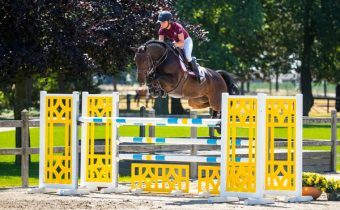 The talented Cas II has achieved international victories with the Irish rider Jack Dodd on 1.35m level. They won, amongst others, the CSIYH1 in Lier - Belgium on 1.35 level. 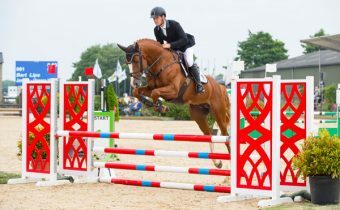 With Cameron Hanley, Cas II became fifth and ninth during Outdoor Gelderland in 2015. They also managed to be placed 18th during CHIO Aachen in 2014. Cas II is now ridden by Audry Coulter at 5* Grand Prix 1.50m level. The relatively young Cas II is working towards a impressive sportive career. One of the highlights of CSI Lummen, that took place in Belgium in April 2015, was the victory of Etoile de Loma in the 6-year-old class. The gelding has already realized several international achievements in his sporting career. He became fourth at the Irish Cavan Crystal Five Year old Finals. His rider, the Irish Alexander Duffy, praises him for his technique and carefulness on the jumps.